This is a comprehensive collection of poems designed for children to enjoy. The selected material avoids a narrow definition of religious verse, and celebrates God's creation in all its variety. The book is arranged thematically, and contains a varied mixture of classic and contemporary verse. ;Alan MacDonald is the co-author of The Essential Christmas and The Essential Easter books. - Publisher 'Whispering in God's Ear' presents a comprehensive collection of poems designed for children to enjoy. The selected material avoid a narrow definition of 'religious' verse and celebrates God's creation in all its variety. 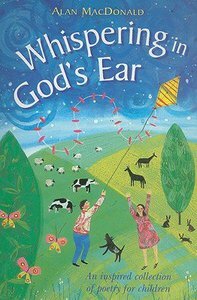 About "Whispering in God's Ear"
'Whispering in God's Ear' presents a comprehensive collection of poems designed for children to enjoy. The selected material avoid a narrow definition of 'religious' verse and celebrates God's creation in all its variety. Susie Poole has been writing and illustrating Children's books fpr over 20 years. She is the founding director of Pupfish who have published over 25 titles including Christmas Journey. She currently resised in Dervyshire England with husband Jon and their three daughters.